Pinnacle Leather Conditioner 128 oz. Home > Shop By Brand > Pinnacle Natural Brilliance > Pinnacle Leather Conditioner 128 oz. Possibly the world’s most lavish leather conditioner! Leather care is a two part system. Once it has been cleaned, you must replace essential oils in order to maintain the soft, supple texture and prevent drying and cracking. With Pinnacle Leather Conditioner, we believe we’ve created the most lavish conditioner you can buy for your valuable leather interior. 1. 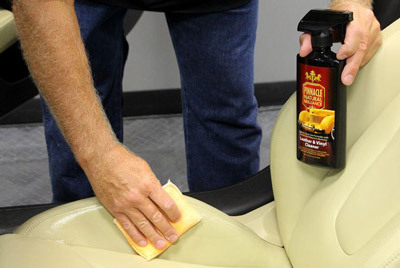 Use Pinnacle Leather & Vinyl Cleaner and a Microfiber Applicator Pad to clean vinyl and leather seats. 2. 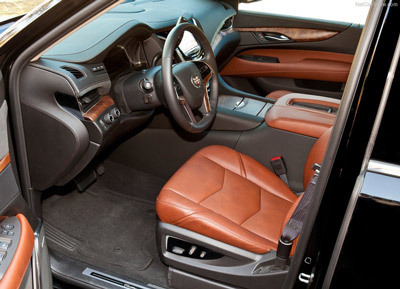 After cleaning, use Pinnacle Leather Conditioner to hydrate and protect the leather. The VOC compliant formula in our Leather Conditioner is rich in lanolin and natural oils. These oils absorb into the leather’s pores, replacing its natural oils that were lost through processing and subsequent cleaning. Hydrated leather retains its softness and resists cracking caused by overexposure to the sun. The lanolin acts as a natural moisturizer for the hide, just like it works on human skin. Your leather will be left with a soft, satin glow, just like new leather. Leather Conditioner will preserve new leather and rejuvenate older leather that has become stiff. 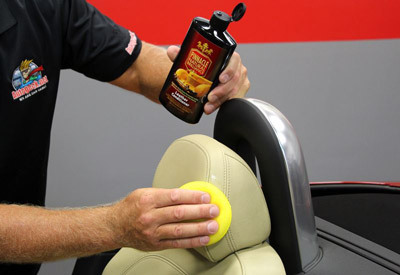 Pinnacle Leather Conditioner is also available in the Pinnacle Concours Interior Kit. See our Pinnacle Interior Kit (for leather) and others on the Car Care Kits Page for super savings on this and other Pinnacle Products!